AdvantaClean opened it's first location in 1994, and each location is an active member of HomeAdvisor, even being called an Elite Service Professional. Our team knows all about the dangers of basement and attic moisture, but we especially want our customers to pay attention to their crawl spaces. We'll explain why below. If you haven't converted your attic into a living space, then we can probably assume that it suffers from the usual things that plague attics: lots of clutter, and poor ventilation. A good rule of thumb is that for every 300 square feet of ventilation, there should be one square foot of ventilation. Our team will inspect your attic to see where vents should be placed, where they should be removed, and whether an attic fan might be necessary for moisture control. Basements tend to suffer from high humidity, and this will be aggravated if you run a clothes dryer or have poorly sealed walls and windows, both of which can let in surface runoff. We can't perform plumbing repairs, but we can recommend them; for example, installing a capillary break can effectively prevent the overflowing of the water table. Moisture control will involve something more drastic, though: waterproofing. We'll apply a concrete sealer over your concrete and masonry walls, which will harden and create a barrier against water vapor. 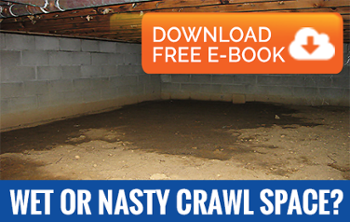 When it comes to crawl spaces, moisture control involves much more than having foundation vents. Actually, in a warm climate such as ours, vents can do the opposite of what they're intended to do. AdvantaClean of League City is here to encapsulate your crawl space. We believe this is the best method of moisture control out there, as it involves laying a vapor barrier - a thick plastic membrane - across your walls and dirt floor. This will block the foundation vents, prevent vapor rise from the soil, and thus prevent the growth of mold and mildew. It will also make your crawl space unattractive for termites, ants, and other pests. We're experts when it comes to encapsulation, so we'll carefully tape up the seams, making sure that there's plenty of overlap. To remove the water that builds up behind the barrier, we'll install a drainage system. You can even request insulation for optimal results. Serving League City, TX, and the surrounding areas, AdvantaClean of League City will consult with you at a time that suits your busy routine. We treat moisture in attics, basements, and crawl spaces. To learn more about our moisture control methods, give us a call. Once we determine the extent of your project, we'll provide a service quote.